A strong global speaker line-up has been announced for Design Inn 2018, which is being held on May 1 at Grand Hyatt Melbourne prior to the 2018 Australasian Hotel Industry Conference and Exhibition (AHICE). 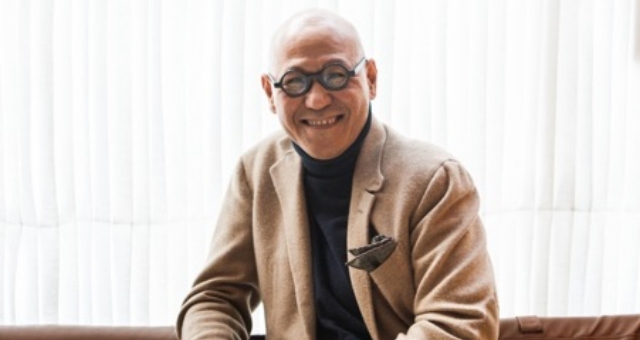 Headlining the program is Tony Chi, globally-renowned hospitality guru and founder of tonychi, who is flying in from New York to speak at the event, which is regarded as the leading hotel interior design and architecture symposium in Australasia. In his only Australian appearance, Chi will be interviewed by Angela Biddle from Scott Carver, sharing with us his philosophy of design as a journey of experiences, along with anecdotes from his career. Chi has been responsible for designing some of the most luxurious hotels in the world including Rosewood London, Andaz Tokyo Toranomon Hills, Park Hyatt Shanghai and more. Also leading the Design Inn 2018 (which is being hosted by SHAPE and HM) speaking program is Dutch-born visionary and innovator, Joost Bakker, who will share his latest projects and how they’re pushing the boundaries of current hotel sustainability thinking and designing out waste. The New York Times have described Bakker as “the poster boy of zero-waste living”, and Vogue magazine have called him a “discipline-crossing creative”. Other Design Inn 2018 speakers include: Dugal Mackie, STAR; Bruce Ramus, Ramus Illumination; Francis Loughran, Future Food; Paul Wiste, Design Assembly [Singapore]; Angela Biddle, Scott Carver; Jonathan Conroy, WMK; Richard Crawford, Marriott International; James Wilkinson, HM magazine; Lucia Grambalova, Mulpha Australia; and Dave Baswal, Ovolo Hotels. The early bird ticket rate of $350 ends today (Apr 6) and combined DesignInn and AHICE tickets are available to purchase.